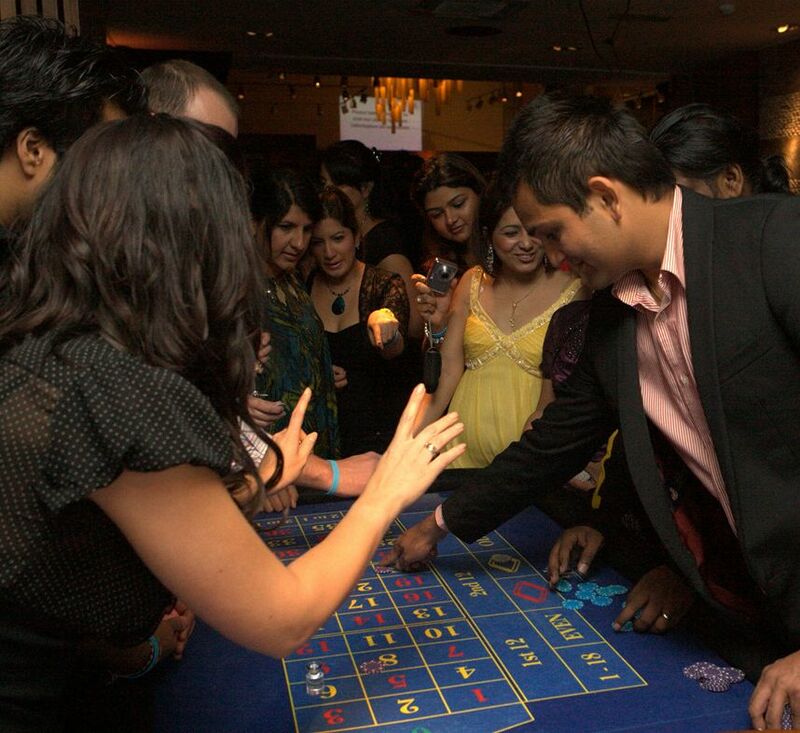 If you’re thinking about hiring casino tables for your party or event, you’ll be searching hard for the right fun casino company for the job. It’s hard to know exactly what to look for if you’ve never hired a fun casino before, and it can be tricky to know which company to trust with such an important job. It might help if we tell you about how we run our business, about the service you can expect from us, and what exactly you’ll get when you hire Harlequin to host your fun casino party. Not only are our fun casino tables authentic in size and design, they are also immaculately presented and always delivered in pristine condition. As an ex-crewmember for Virgin Atlantic, I used to visit Las Vegas weekly, and so I know what standards to try and match! At Harlequin, we take real pride in the quality and appearance of our casino tables, so you can be sure that the equipment you hire from us reflects the level of care we take over our business. Every time we set up our casino tables at an event, we are complimented on the quality of the casino tables. People constantly remark on how elegant and luxurious they look compared with others they have seen. It’s always nice to recieve these compliments, and it makes us realise all the more how important it is for us to continue to deliver a premium quality product. Always always check the kind of tables you’ll be supplied with when you book a fun casino. It’s so important to know exactly what you’ll be getting for your money. 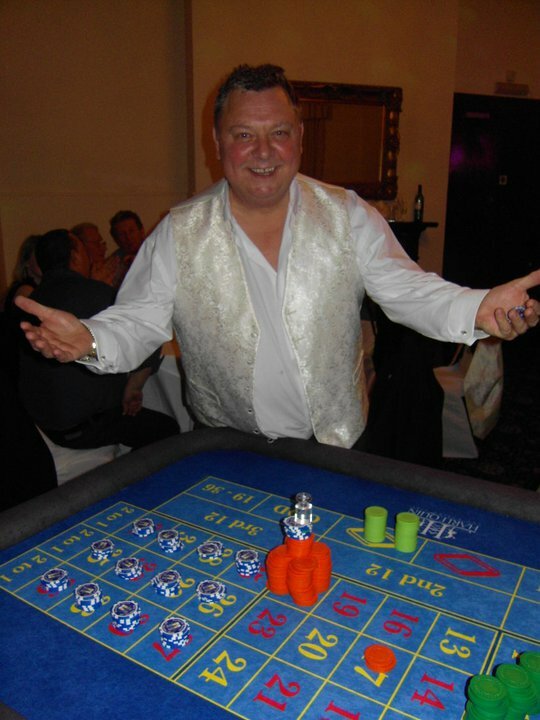 It’s important to you that we know what we’re doing and we have experience in doing it – we know that, so we only work with croupiers who have professional experience and have worked in the real casinos themselves. Our lovely croupiers have been head-hunted for their charm, reliability and affability. If you’re not sure how to play the games, they’ll gladly and patiently show you the ropes and guide you through it, just like they would in any real casino. Harlequin Fun casino are a fresh new company and have been in business since early 2009. Our passion for the job has not waned since then, and we’re keen to make a good impression on every company and client we work with. In a short time we have managed to gain the trust of countless corporate clients and build professional relationships of tens of leading companies, including Sony, Virgin Atlantic, Virgin Holidays and many more. If you’re looking for a fun casino company whose focus remains on you, the client and who will strive to make your event a huge success, you can trust us to do just that. For three years, I worked as a crewmember for Virgin Atlantic, and during that time, I fell in love with all things Vegas. (that’s me on the left, just off the plane and looking forward to another awesome night out in Sin City!) I was in Las Vegas at least twice a month and my passion for the spirit of Las Vegas lead me to start my own fun casino company here in th UK. I adore what I do, I’m proud of the company I have created, and I absolutely love every single event I have the pleasure of attending. You will be hard pushed to find another fun casino company with this much passion and enthusiasm for the job, and I’ll always provide my clients with genuine dedication and zest which only adds to your enjoyment of the event. As a small, family run company, we firmly believe that each client is unique and important, and we’ll make every effort to treat your party as if it was our own. As much as we have a lot of fun at Harlequin, professionalism is the name of the game. We endeavour to treat our customers with a high level of care and service, and we’re constantly working on ways to streamline the booking process and to make ourselves the best in the industry in as many ways as possible. We love to have fun, and it’s my belief that there’s no point in doing a job if you don’t love it, but even though we know how to have a great time, we always remain professional in all aspects of our work. Our service is top quality, our delivery – first class. You’ll never be disappointed when you hire us to run your casino night. It’s what we do and it’s what we love. We try to make your casino experience as authentic as possible, so we have our casino tables made to the same specifications as the casino tables in Las Vegas. My frequent travels to Las Vegas have made me something of a “go to” girl for all your gambling accessories and paraphernalia. I’m lucky enough to be in touch with a great little store in downtown Las Vegas who sell rare, used but un-cut casino playing cards that have been used in play in many of the top casinos such as Caesars Palace, The Mirage, Bellagio, MGM Grand The Palms and many more. I buy these cards in person and bring them back in the hundreds to play on the Blackjack tables at home. All our card shoes, discard trays and casino chips have been purchased from Las Vegas too. At Harlequin, authentic actually means authentic! We’re friendly, helpful and not in the least bit pushy! We offer friendly advice without you feeling obligated to book our services. We’re a small company, so we care about each individual client, and dedicate a lot of time to preparing each and every event we are hired to work at. If we can make your casino experience more special, we will, and we’ll always keep our prices fiercely competative. Your happiness and satisfaction are the most important things to us, so we promise to make every effort to make your event smooth running, seamless and above all, fun!